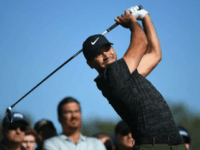 SYDNEY, Australia — Jason Day made a spectacular return to the Australian Open on Thursday, finishing the first round just three shots off the lead as the defending champion Jordan Spieth struggled in tricky conditions. 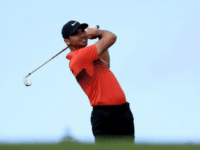 What a difference a “Day” makes when comparing the #3 golfer in the world one year ago this month, sitting at the top of the PGA heap ranked #1 after the 2016 Players Championship, to now when he is struggling to find a way to winning another tournament. 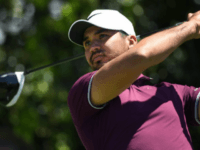 San Francisco (AFP) – Australia’s top-ranked Jason Day fired back-to-back birdies Saturday in finishing an eight-under-par 64 second round to grab a share of the lead at the PGA Pebble Beach National Pro-Am. Heroics from the world’s best golfer could not fluster Jimmy Walker, who led from start to finish and won the 98th PGA Championship at Baltusrol. After a nice recovery from a bad shot on the 17th hole Friday at the PGA Championship, Jason Day made a new friend. Day’s shot landed just shy of the green, which is when the young kid became overwhelmed with excitement. The greatest golfers in the world take on the hardest golf course in America for the 2016 U.S. Open beginning on Thursday near Pittsburgh. Play gets underway today in one of the most anticipated PGA tour events of 2016. The top-three players in the world arrive in Dublin coming off thrilling victories in their last appearances. Jason Day won the Player’s Championship; Rory McIlroy the Irish Open, and Jordan Spieth won last week’s tour event. What’s it take to win the Masters? The answer: ice water in the veins. No sporting event puts as much pressure on an athlete than the Masters. If you can’t handle it, you’ll never wear the green jacket. 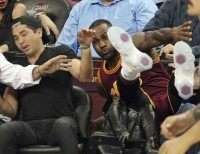 A hospital released Jason Day’s wife, who says she harbors no hard feelings against LeBron James for barreling into her in pursuit of a loose ball Thursday night. 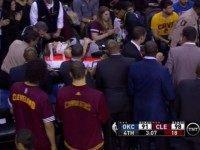 One of the world’s best basketball players sent the wife of one of the world’s best golfers out of Quicken Loans Arena on a stretcher on Thursday night.